Jia Jia, a giant panda believed to have been the oldest ever kept in captivity, has died at the age of 38, Hong Kong officials say. Jia Jia’s age in human terms was more than 100 years. Her death was announced by the Hong Kong theme park where she lived. 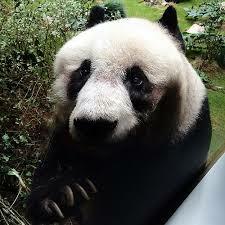 Jia Jia’s condition had worsened rapidly in recent weeks and she had lost her appetite, the park said. The giant panda was put down by vets at Ocean Park, her home since 1999. “She was a member of our family and she will be deeply missed… she has served as an important animal ambassador for her species,” the park said in a statement. According to the park, in the last two weeks, Jia Jia’s daily food intake had dropped from over 10kg to less than 3kg per day, and she had lost weight. “Over the past few days, she has been spending less time awake and showing no interest in food or fluids. Vets took the decision to put the giant panda down to prevent suffering, the park said. The Hong Kong park held a high-profile celebration for Jia Jia’s 37th birthday at her enclosure in July 2015. Donald Trump: "Election Rigged by Dishonest Media and at Many Polling Places"